What a busy Spring it has been here this year as we prepare for Easter with lots of young animals. Usually we have lambs, lambs and more lambs! 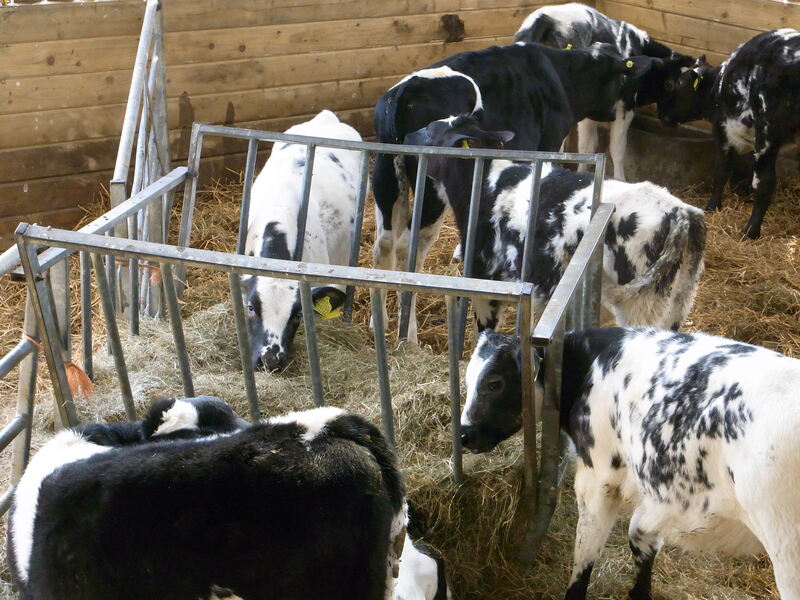 This year we have all of those but also some young calves and a puppy, called FLOSS, too! So lots to keep us out of mischief. The puppy has everyone wrapped around her little paws as she is such a cutie and the calves are quite nice too. The lambs are always lovely. There is nothing nicer than watching them race around the field in a mad gambol or experiencing the miracle of one being born! 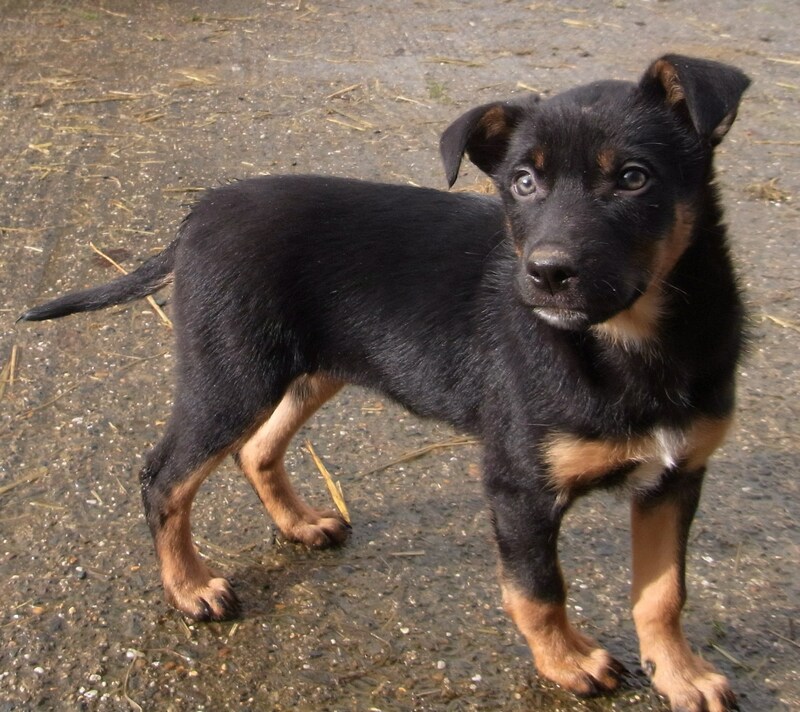 Easter comes to Forda Farm this year with Lambs, Calves and a Puppy. 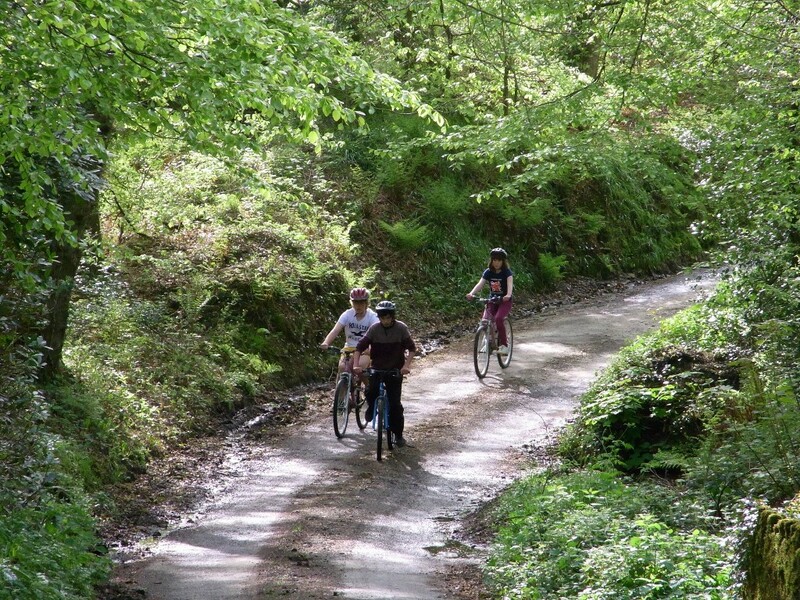 We have many circular cycle routes around Forda Farm, throughout Ruby Country. So why not take your Bike on holiday or hire one locally while you are here. Val has lot’s of maps which you can borrow. Pack lunches can also be provided for the day ahead. Close to cycle route 3 and the official Land’s End to John O’ Groat’s route means that Val is happy to look after the long distance cyclist too. 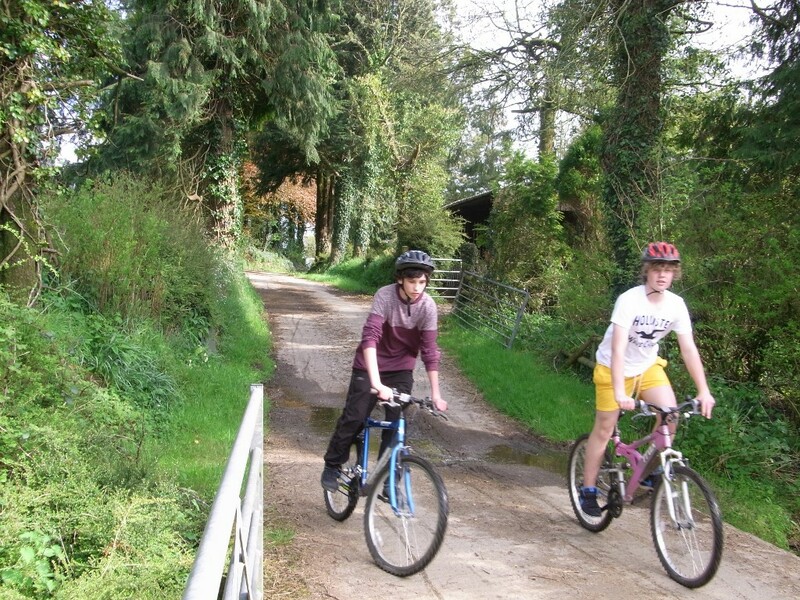 The Country lanes around Forda Farm are perfect for cycling. This entry was posted in Cycling and tagged bike hire close by, Cycling, John O' Groat, Long Distance Cycle Routes, National Cycle Network, Ruby Country, Thornbury on October 19, 2013 by tallyforda. Took a trip to Pendennis castle near Falmouth. 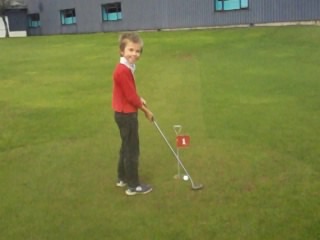 The sun shone most of the time and all the kids had a great time. The youngest even took the chance to dress up as a soldier!! 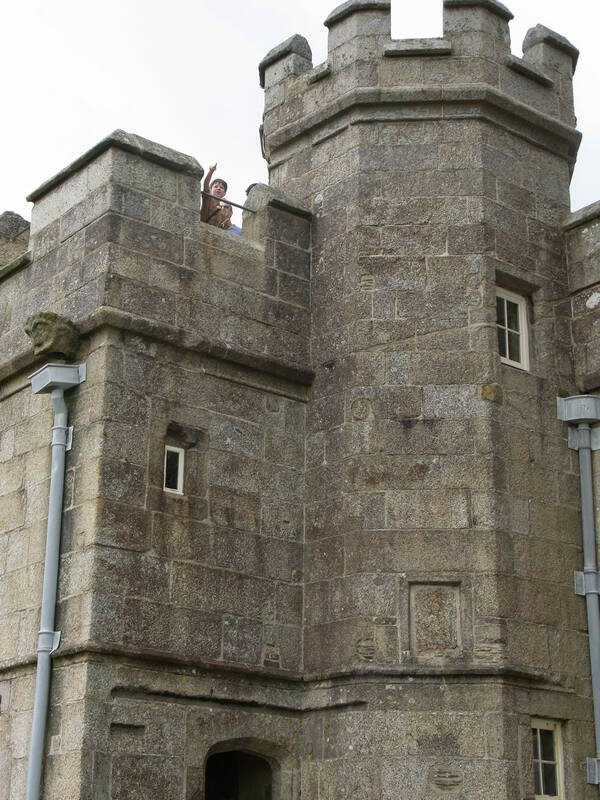 They all climbed to the battlements and enjoyed the terrific views from the top. All in all a great day out for all the family. 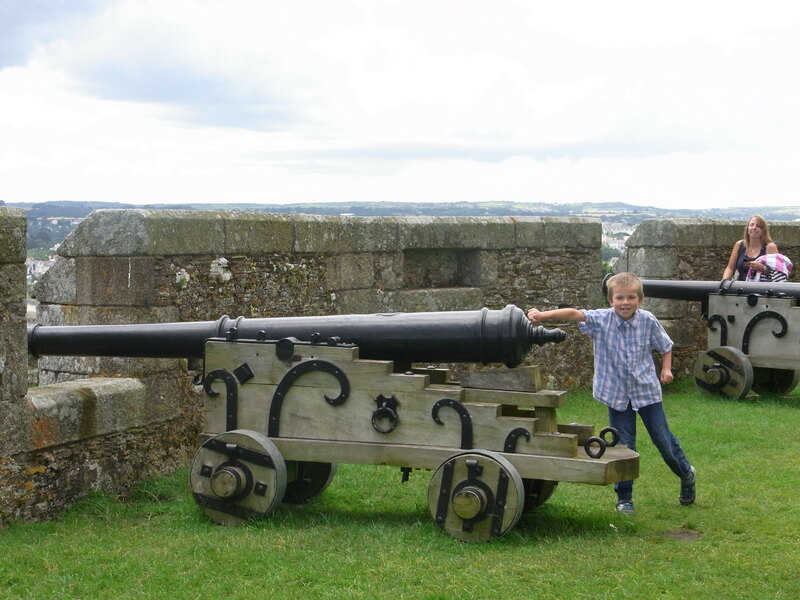 This entry was posted in children playing and tagged Castle, Days out, English Heritage, Falmouth, Pendennis castle on October 19, 2013 by tallyforda. Took a family trip to the Milky Way, near Clovelly in North Devon. The kids had a great time. 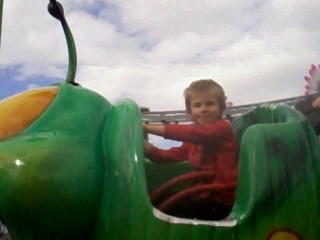 Roller coaster, Dodgems and Train were top of the things to do. This entry was posted in Uncategorized and tagged north devon, roller coaster on September 8, 2013 by tallyforda. THORNBURY Village fete—- loads of fun for all the family!! A great evenings entertainment for all the family at Thornbury Village fete in Devon. The Dog show was well attended as always. A barbeque fed all the happy punters. 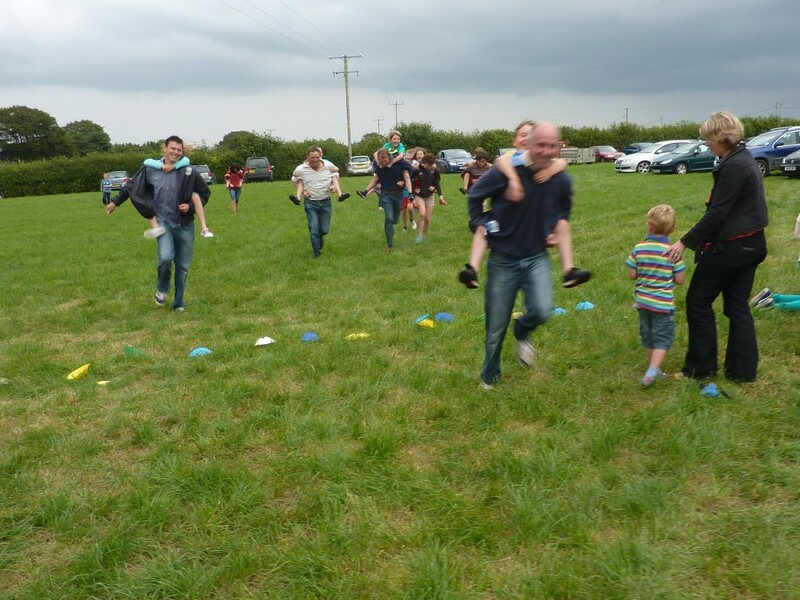 Childrens races and bouncy castle and a few stalls added to the merriment. The usual game of rounder,s where all the village took part concluded the evening. The little amount of rain didn’t dampen spirits! This entry was posted in Uncategorized on August 5, 2013 by tallyforda. What will you do in your holidays? Farming is great fun however large your tractor. 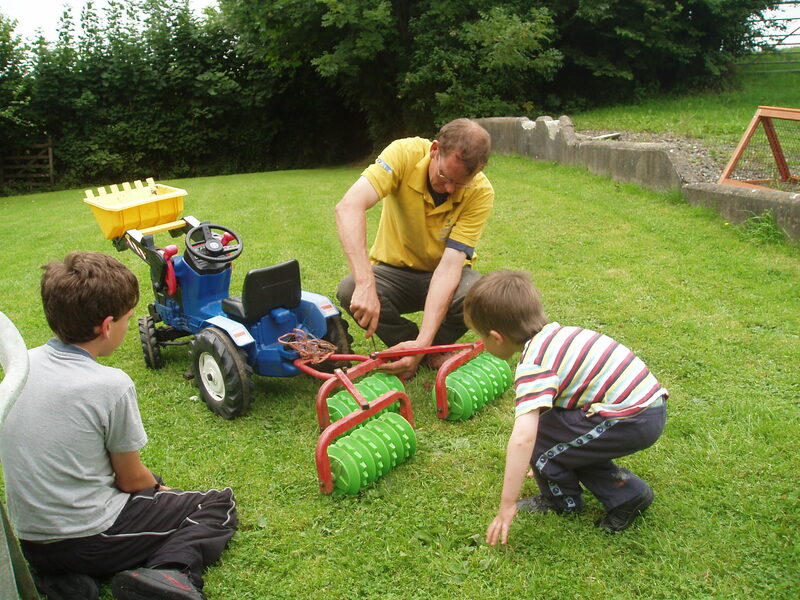 Lots of different things to do from using rollers on the garden to tidying up the front of the house. A young farmer’s work is never done. BUT breakdowns happen no matter the size of machinery then we need baler twine and brute force! 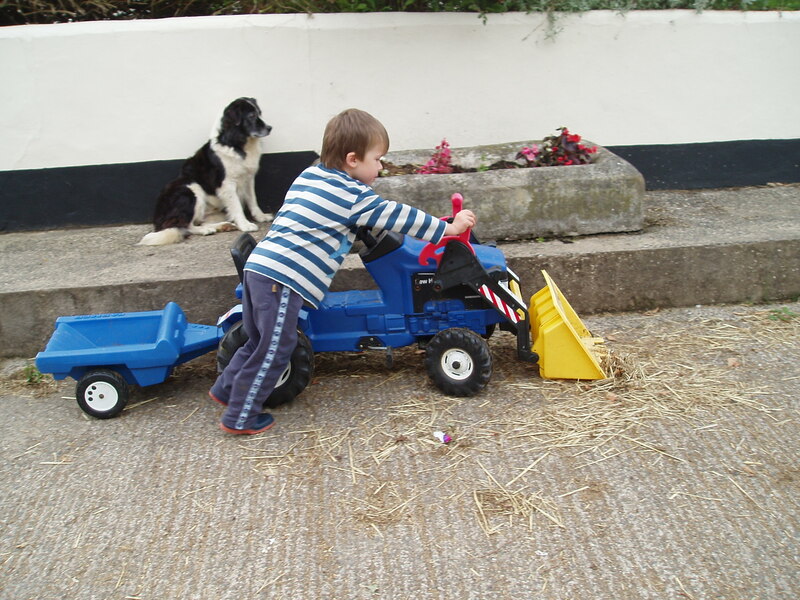 This entry was posted in children playing, Farming and tagged children farming, Devon, devon farm, outdoors, Thornbury, young farmer on July 31, 2013 by tallyforda. Sheep getting ready for lambing in December! Today our pedigree sheep had a visit from 2 very special Rams. 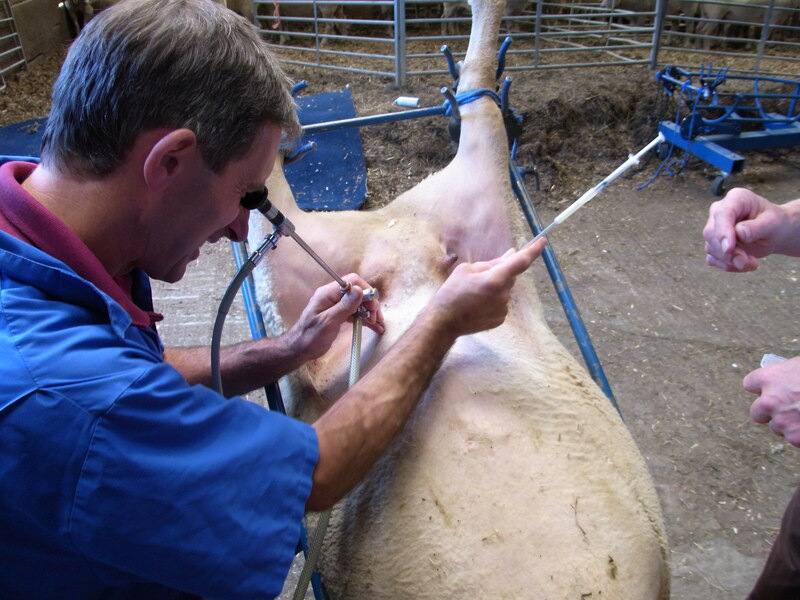 However they were in the disguise of the vet who used the process of Artificial insemination to hopefully produce some lambs in mid December. The Charollais ewes will meet our stock Rams in a few weeks time to be certain that we do get some lambs. This will improve the quality of the breeding rams which we sell at this time of year to other farmers for their sheep flocks. When the vets, farmer and helpers were finished, they had roast dinner and chocolate self saucing pudding- a special request by one of the other farmers who helped us out! Hard work in the heat of the day but a job well done and finished with a sociable lunch too! Thanks to all- you know who you are. 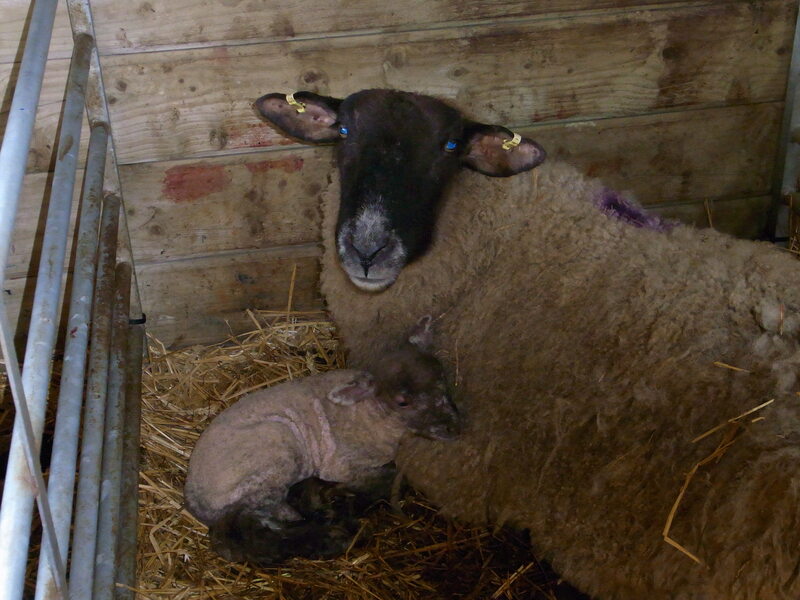 This entry was posted in Farming, Local food and tagged Charollais, roast lunch, Sheep on July 19, 2013 by tallyforda.